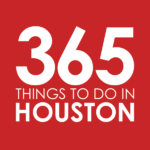 At the start of each week, our My Top 5 series features a different Houston tastemaker, entrepreneur, or creative and reveals what they like do in their own free time. This week, we’re pleased to feature Lucy Hines, who co-owns Houston’s beloved Kolache Shoppe on Richmond with her husband Randy Hines. Houston Arboretum and Nature Center – When I moved into the city from the suburbs, I was missing a nice “green space.” My husband quickly introduced me to this spot and it is now one of our favorite places to visit. With the natural playground, nature trails, and an indoor discovery room to learn more about the plants and wildlife in the park, it’s a great place to take the whole family. If you go, don’t miss taking the Inner Loop Trail to the Meadow Pond, where you’re sure to spot fauna, whether it’s a fish, a snapping turtle, or a rare bird. You may even spy a beautiful Purple Gallinule, as my avid bird-watching 8-year-old recently did! Eastside Farmer’s Market – It doesn’t get much better than this in the Farmer’s Market world. Eastside has a huge variety of vendors; each time I go I am in amazement and awe at the people and their goods. If you are looking for artisan breads, look no further. Homemade frozen custard? Yes. Rare native plants – they have that too. Homemade soaps, fresh veggies, and jams – check all of these treasures off your list. The market is open every Saturday from 8am to noon, rain or shine. Some of my favorite items are actually things that we have used in some of our artisan kolaches including Blue Heron Farms’ Bourbon Cajeta, The Grateful Bread’s Brisket (their smoked salmon is pretty amazing also! ), and Garden Dream’s Fig Chartreuse Jam. George Ranch Historical Park – Off the beaten path, but worth the drive to Rosenberg for this unique period experience. This is a 20,000 acre working ranch, complete with livestock and historic homes. Everyone there is in period dress and plays their part so well! Our kids, who range in age from 1 to 9, love going and participating in the actual running of the ranch, like caring for animals and using a spinning wheel from the 1800s. It is a great place to learn about Texas history and live a part of it from that time period. You can even experience a chuck wagon lunch! Insider tip: Make a point to visit “Mr. Jones” in his house. He is by far the best actor and a wonderful teacher. CAVO Coffee – I love being able to walk down the street to this new Greenway Plaza hotspot brought to us by one of the owners of Siphon Coffee. The food selection and quality are just as good as their excellent coffee offerings! They have great seating, very friendly and helpful staff, and inviting and simple décor. My food and drink pick: a simple Mocha Latte and the “Jam Session” sourdough toast topped with goat’s milk ricotta and house made jam. Cathedral of Our Lady of Walsingham – For a little bit of England in the heart of Houston, this Cathedral and Shrine in Spring Branch are a must see. With a peaceful fountain in the center of the courtyard and arched walkways throughout, the Cathedral offers a place of quiet, respite and beauty in the midst of the bustle of Houston. Within the Cathedral, the art and attention to detail are phenomenal and make you feel as if you are walking through the original Walsingham church in the little English town. I visit often to refocus and allow the beauty of the space to overtake me. Lucy Hines is co-owner of the Kolache Shoppe, which has been making delicious, authentic kolaches since 1970. After a providential friendship developed with the previous owner of the Kolache Shoppe more than ten years ago, Lucy and her husband Randy took over the Houston landmark in 2014 and are now looking forward to expanding to their second location in the Houston Heights in the Summer of 2018. A graduate of Texas A&M, Lucy lives in the Greenway Plaza area with Randy and their five children.